A deconstruction of traditional cabaret, returning to its unruly roots, mayhem inside a highly disciplined staging, with a musical group, high-level artists, food and surprises. The cabaret is a warm, eclectic place, inspiring passages and meetings, even intrigues and last minute upheavals. It is night, wine and fine clothes. It is the tray on which is mixed strange dishes, banal miniature sandwiches and dizzying elixirs .... this is for pleasure, even when it hurts. 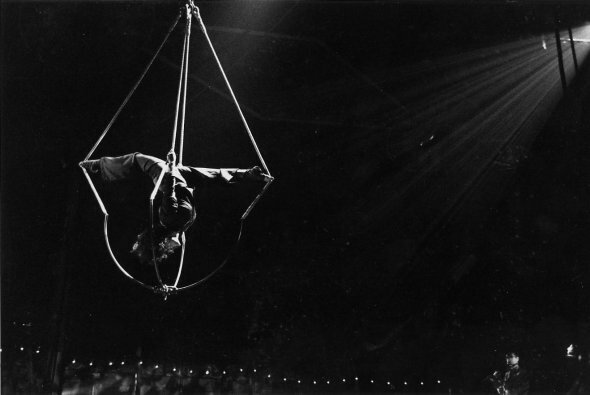 A concert under the big top, juxtaposing a live music stage with circus images. This implies a total and "unorthodox" use of the circus tent. Three spaces are defined : the music stage, the aerial space and the audience area. The play, however, overflows and exceeds these limits. 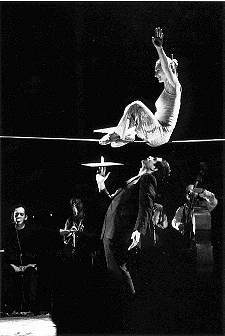 A musician flies, a wire is stretched in the middle of the instruments, the singer sings in the audience in a total blackout. 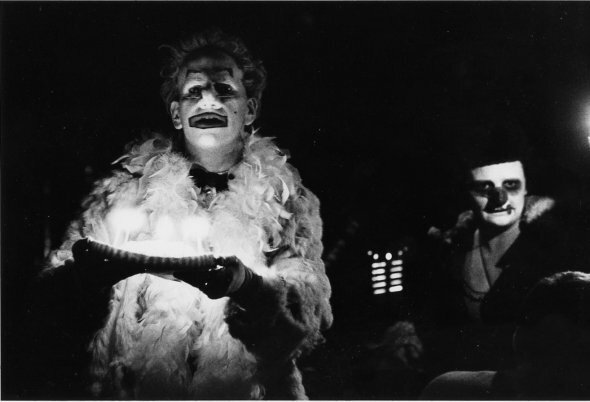 The clowns are the dynamic link, transgressing and transforming spaces. The audience is sitting at too large tables that encourage mingling. They eat and drink. It is possible to stay after the show to dance and talk. The evening can be very long. There may be spontaneous events - another concert or midnight performance. We insist on our own pleasure to play, and share it with an audience. The play is structured yet spontaneous, impromptus are located strategically throughout the evening, floating an invitation to derail and abandon all expectations. (r)evolutions. 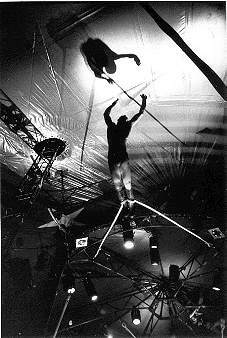 reve(lation)s.
These photos are from the 2001 creation with Arthur H and his 7 musicians, playing with 8 circus artists and a gourmet chef.